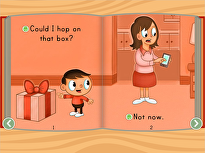 Does your child love sports? 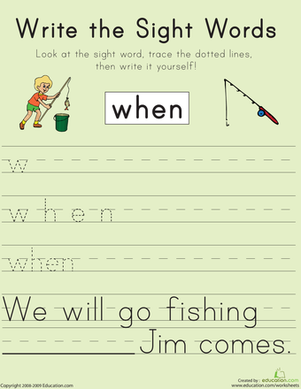 Can she write four different sentences that describe that sport using this list of sight words? 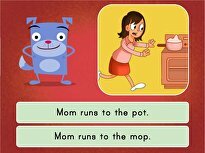 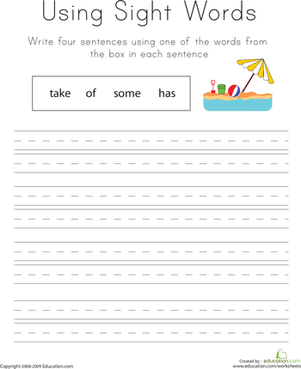 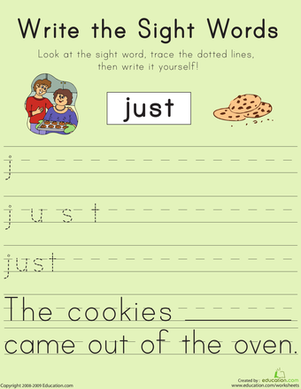 This worksheet will help your child learn the sight words "going", "when", "stop", and "just" by having her write the words in complete sentences. 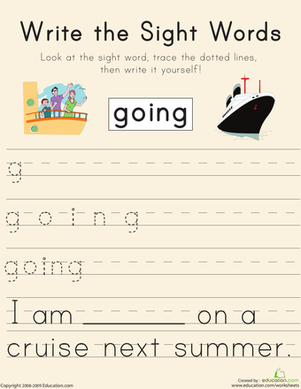 After she finishes this worksheet she will have improved her reading skills and practiced her handwriting. 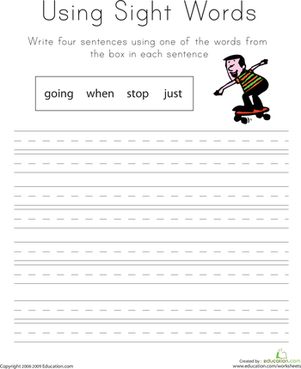 Write the Sight Words: "Stop"
Help your child learn the sight word stop with this printable phonics worksheet. 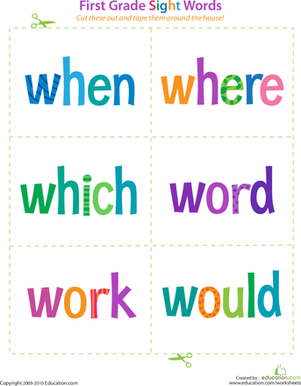 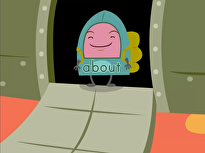 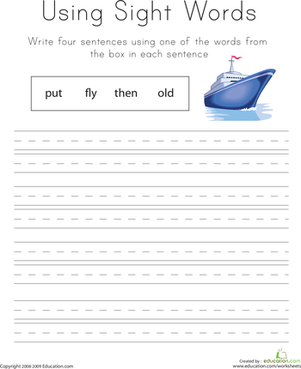 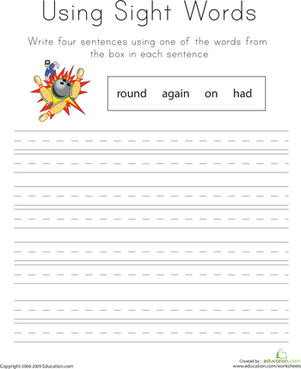 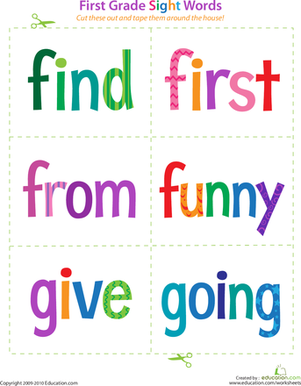 Help your child learn the sight word :when" with this printable phonics worksheet. 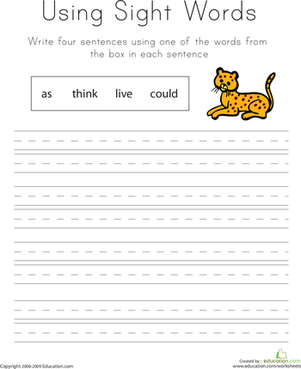 Assess your students’ abilities to read grade-level sight words using this quick reading inventory.